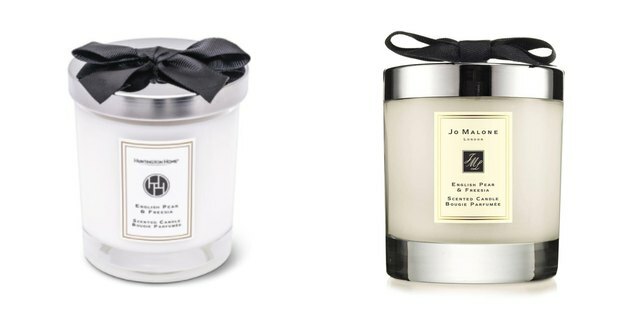 If you're into dupes, listen up: Aldi is selling candles they're openly saying are inspired by Jo Malone, and for only $6.99. That's 1/9th of the price of Jo Malone's $65 candles. And even the scents are the same. We've got: English Pear and Freesia; Lime, Basil and Mandarin; and Pomegranate Noir. Not exactly subtle, considering the scent names and packaging are nearly identical, but an undeniably good deal. 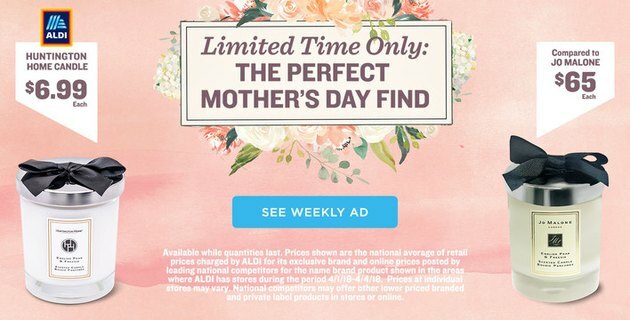 The Aldi candles are being sold for a limited time for Mother's Day under the brandname Huntington Home. Their burn time is 45 hours. House Beautiful noted that these Aldi candles first appeared in the U.K. last year, and were so popular that they were later sold on Ebay for eleven times their original price. Phew. So basically what we're saying is if you want to get your hands on one, head to Aldi sooner than later.